11:50am: That didn’t take long. Kevin Allen of USA Today reports that there will be no disciplinary hearing for Wilson for the hit on Marchessault. As of about 20 min ago, no official word on Tom Wilson from NHL Player Safety. One source told me they see the hit as slightly if not egregiously late, but that lack of head contact (it was shoulder to shoulder) is a big consideration. Personally, would be surprised if suspended. In this case, there is also another player to consider in any disciplinary decisions. David Perron of the Golden Knights appeared to jump onto the ice after the hit was made, and collided with Alex Ovechkin immediately. Perron was the sixth player on the ice for Vegas, and immediately engaged with the opposing team. Leaving the bench is supposed to be a 10-game suspension, as we saw earlier this year with Luke Witkowski of the Detroit Red Wings. Whether the league will determine that Perron was leaving the bench as a response to the hit will likely decide whether or not he sees any further discipline. For Wilson, it’s just another example of how he uses his physicality to rile up the opponents. Marchessault appeared to be okay after the hit, which did not connect with his head, but was forced off the ice and into the dressing room for a time. As one of the Golden Knights’ key forwards, missing any time would be a big blow to the team’s hopes for the rest of the series. So too would another Wilson suspension, as the physical power forward has found a home on the Capitals’ top line next to Ovechkin and Evgeny Kuznetsov. Wilson has 12 points in 17 playoff games so far, nearly matching his total (19) from the entire 2016-17 season. The Professional Hockey Writers’ Association has spoken, as the NHL has announced that three forwards have been nominated for the 2018 Frank J. Selke Award. The Selke Award, or as some call it “the Bergeron Award”, is given each year to the top defensive forward in the league. To the surprise of very few, Boston Bruins top center Patrice Bergeron is again among the finalists, a record seventh consecutive nomination. Bergeron is the reigning champ and the winner in four of the past six seasons. However, Bergeron faces stiff competition for his fifth Selke, going up against 2016 winner and two-time runner-up, Los Angeles Kings captain Anze Kopitar, and breakout Philadelphia Flyers star Sean Couturier, who earns his first Selke nod. While the Selke is perhaps up to the eye test more than any other major award, there are some key statistics to look at to determine the odds-on favorite. The original measure of a players’ two-way success is plus/minus, which would favor Couturier. 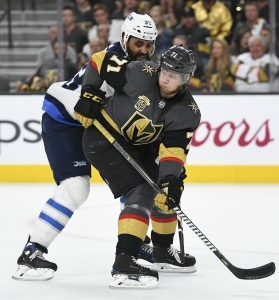 His +34 rating was good enough to tie for third in the NHL behind only Vegas Golden Knights linemates William Karlsson and Jon Marchessault. Meanwhile, both Bergeron and Kopitar were +21, tied for 28th. However, possession metrics may be the best way to evaluate two-way ability, in particular a player’s Corsi For %, which shows the proportion of shots for relative to shots against. By this standard, Bergeron was firmly in the lead. His 57.56 CF% led all forwards who played in at least 50 games this season. In comparison, Couturier was 59th and Kopitar was 93rd among that same subset. Bergeron also edges out the other two in face-off percentage, short-handed time on ice, and takeaways; Couturier gets the nod in hits, while Kopitar had the most blocked shots. It again looks as if Bergeron would be the favorite, but one thing to consider is that Bergeron played in just 64 games this season, averaged the least amount of time on ice of the trio, and benefited from playing alongside another two-way dynamo in Brad Marchand. Bergeron may have been the best defensive forward in the league this year – and at this point might be the best all-time – but there’s a strong case that the two-way play of Kopitar and Couturier had a greater impact in 2017-18. As for snubs, many out there will fight for the cases of Minnesota Wild captain Mikko Koivu, dynamic young Florida Panther Aleksander Barkov, and even the aforementioned Marchand. However, unlike the debated results of the Vezina voting, it seems that the correct trio of players were selected and any one would be worthy of taking home the hardware at the NHL Awards in June. Recent comments from Henrik Sedin and Daniel Sedin suggest the twin brothers are hoping for another year in Vancouver. Already 37 and trending downwards in their career, the struggling Canucks were considered to be sellers at the trade deadline. However, the Sedin twins return also might throw a wrench into general manager Jim Benning’s deadline plans. While the team has several key trade chips to move, including veteran scorer Thomas Vanek and defenseman Erik Gudbranson, Benning might be more likely to retain or extend them to surround the Sedin twins with veteran players, according to J.D. Burke of The Athletic (subscription required). The scribe begins by pointing out that the Sedin’s decision will have major implications to the salary cap and the look of the team. The cost to retain both soon-to-be 38-year-old forwards will be about $10MM, estimates Burke, who adds the team would have to make a decision whether to keep Vanek with the team. If the Sedin’s stay, will Benning look for assets that might benefit the veteran Sedins, rather than focus on the team’s need to rebuild. Benning has often preferred to acquire players, rather than trade for picks. The team has a lot of prospects coming through the system already, but not trading their assets at the deadline could hurt the future of the team down the road as well. No one is saying the Sedin twins shouldn’t come back. They have been with the franchise since they started their careers and should be welcomed, but not at the expense of the team’s future. Yahoo Sports’ Ryan Lambert writes that while the praise that goes towards Vegas Golden Knights general manager George McPhee is well earned, he believes that Vegas’ unbelievable success should fall on the shoulder of all the other teams’ general managers. The scribe writes that if other general managers had done a better job managing their own rosters, the Golden Knights wouldn’t have been able to get better quality players and picks in order to pad their roster in the initial first year. The expansion draft should net expansion team with back-end forwards and defensemen and No. 2 goalies. 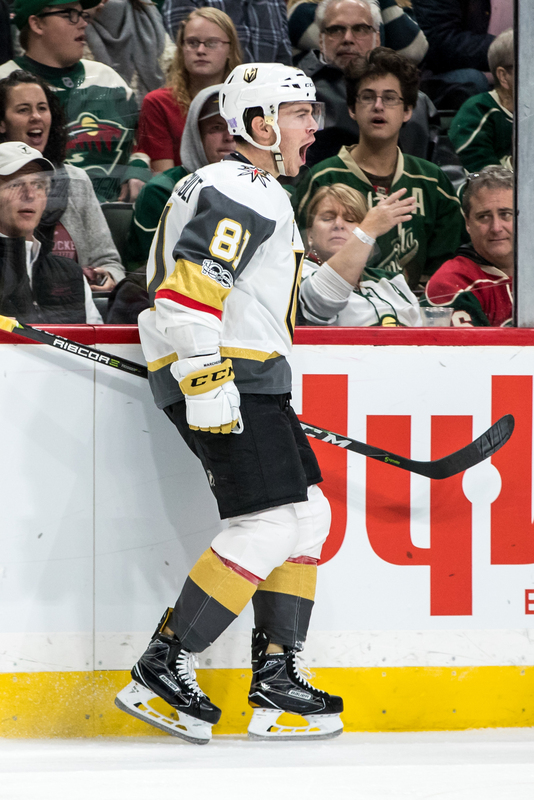 However, Florida Panther general manager Dave Talon just handed two top-six forwards to Vegas to get rid of the contract of Reilly Smith, while they opted to move on from Jonathan Marchessault because they didn’t believe he could repeat his 30-goal season from last year. The same can be said for the Minnesota Wild, who gave Vegas forward Alex Tuch and Erik Haula in exchange for draft considerations. There were so many draft considerations from plenty of other teams such as the New York Islanders, the Columbus Blue Jackets and Tampa Bay Lightning. Had general managers made better decisions, perhaps the Golden Knights wouldn’t be the top team in the West. Lambert also adds that the team still has 10 draft picks that will fall in the first two rounds over the next three years. Doesn’t look like Vegas is going anywhere. Still with the Golden Knights, SinBinVegas tweets that prospect Tomas Hyka, who was scheduled to play in the AHL All-Star game on Jan. 29, has been replaced with T.J. Tynan as Hyka is now listed as “unavailable for the game.” Vegas plays its first game after the all-star break on Jan. 30, suggesting Hyka might get called up instead. The 24-year-old wing, who signed out of the Czech. Republic, has 12 goals and 31 points in 32 games with the AHL’s Chicago Wolves. 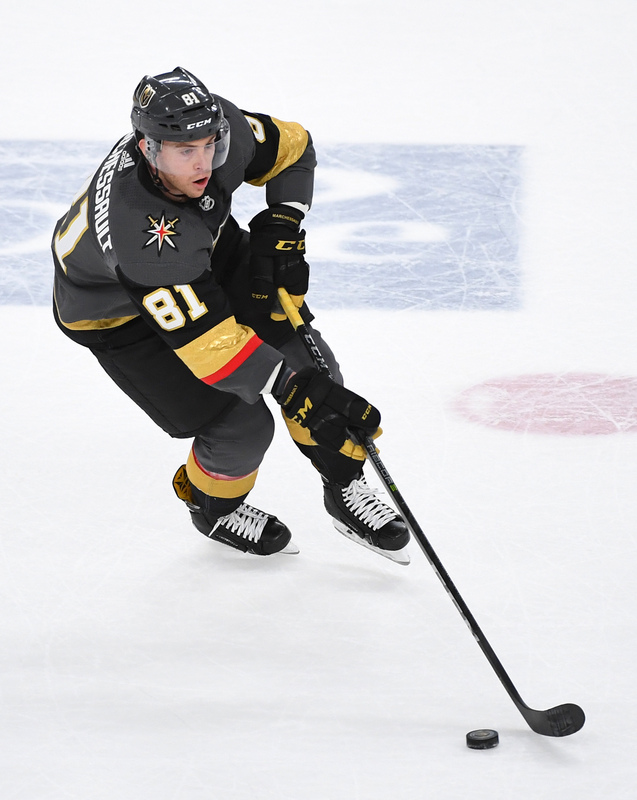 After negotiating a six-year contract extension with Jon Marchessault last week, it looks like the Vegas Golden Knights aren’t done just yet. According to Sportsnet’s Mike Johnston, general manager George McPhee is now turning his attention to veteran winger James Neal, who will be an unrestricted free agent this summer. Neal, who was originally drafted with the intention of using him as a trade chip at the trade deadline, now has become an indespensible part to the Golden Knights’ success. Neal has 17 goals and 11 assists going into the midway mark of the season and remains on pace for a 30-goal season, something he hasn’t done in two years. Neal has had enormous success, playing on the Golden Knights’ second line along with David Perron and Erik Haula. “No negotiations have started just yet but they are expected to start soon,” Sportsnet’s Nick Kypreos reported during the Headlines segment Saturday on Hockey Night in Canada. Much of the negotiations will likely hinge on Neal’s willingness to take a team discount like Marchessault did with his six-year, $30MM deal, which no one knows if Neal is willing to do. At 30 years old, this is his last chance to cash in on a big deal. However, with the team’s popularity and success, which he has been a major part of, it’s possible he might take less money or possibly accept a shorter deal in exchange for a bigger AAV. Kypreos said a four or five year deal would be more likely for Neal, possibly as high as $6.5MM per season. Neal is finishing up a six-year, $30MM deal he signed back in 2012 with the Pittsburgh Penguins. The contract also contains a modified no-trade clause, per Sportsnet’s Chris Johnston. Marchessault came over from Florida at the expansion draft as the price paid for taking on Reilly Smith and his own long extension. Smith was about to start a five-year, $25MM deal that had been signed before Dale Tallon regained control of the Panthers, and was jettisoned to Vegas in exchange for allowing the Golden Knights to select Marchessault. It’s turned into one of the biggest parts of the Vegas success this season, as the pair rank first and third in team scoring on the second-best club in the NHL. Amazingly, it’s not really a breakout for Marchessault this season. Last year, the diminutive forward was given a full-time role in Florida and ended up with 30 goals and 51 points. At his low price point, it was a complete shock when the Panthers allowed him to be selected, even if he was a pending unrestricted free agent. The undrafted forward had to work hard and patiently wait for a chance to prove himself in the NHL, and will now be rewarded with a huge contract extension. The $5MM price tag, that buys out solely UFA years, is a relative steal if he keeps producing the way he has the last season and a half. Players like Mike Hoffman, Tyler Johnson, and Derick Brassard are on similar deals and are arguably less important to their respective clubs. Marchessault also represents the first real big ticket long-term commitment by the Golden Knights. Smith and Brayden McNabb are the only other two players on the roster under contract past 2019-20, and McNabb’s extension is for only $2.5MM per season. Vegas was very conscious of taking mostly expiring contracts in the draft, that they could potentially sell off at the deadline. While the selling plan may have changed somewhat given their immediate success, they’re now poised to pick and choose the players they want as key contributors going forward. Even with this extension, the Golden Knights will have close to $40MM in cap room next season when the ceiling climbs to somewhere between $78-82MM. We’ve discussed how they can use this cap space as a weapon in trade negotiations before, but now with the success they’ve found they could go a step further. Vegas could be a big player in free agency this summer, or save some room for the pending “Superclass” of UFAs in 2019. The next name on their internal list is likely William Karlsson, their goal leader and pending RFA. Karlsson is earning just $1MM this season, and is another player deserved of a huge raise before next season. Just like Marchessault, Vegas has been good to him. Bob McKenzie of TSN was first to report that the contract was close. What Should Vegas Do With James Neal? The Vegas Golden Knights had it all figured out. The plan from Day One was to build the team through the draft with a goal of reaching the playoffs in three years and winning a Stanley Cup in five. Evidently, the team did their math wrong. They won’t stop winning now in Year One. However, despite the team’s success, they have done exactly as they’ve planned. The Golden Knights built their 2017 NHL draft based on multiple trades that came with the expansion draft as they picked up an extra two first-round picks in draft-day deals. They also added an extra second rounder as well as extra fifth and sixth round picks. That totaled 12 picks in that draft, or 13, if you add seventh-round pick Dylan Ferguson, who the team picked up in a trade after the draft. The draft pick collecting didn’t stop just with the 2017 draft, however. They picked up quite a few for the 2019 NHL draft as well as they have seven picks in the first three rounds in that draft and 12 picks total. Even in 2020, the Golden Knights have four picks in the first two rounds. However, the one draft that Vegas hasn’t targeted is this upcoming draft, the 2018 NHL Draft. It’s obvious, the team’s plan was to accumulate picks at the trade deadline this year. The team has several top players in the last year of their deals that could be sold off for assets, players like James Neal, David Perron, Luca Sbisa and possibly even Jon Marchessault. That has always been the plan, until now. The team had been winning quite a bit early on, but the team’s recent 8-0-1 run may have changed the outlook of many. Now at the holiday break, Vegas finds itself with a 23-9-2 record, good enough for a three-way tie for first place in the Western Conference. This team is for real, having pulled off victories in just the last week over the Pittsburgh Penguins, Tampa Bay Lightning and the Washington Capitals. Just a few days ago, NHL.com’s Gary Lawless said that he doesn’t expect Vegas to break up their team at the deadline. But what do you do with Neal? While Marc-Andre Fleury has been the face of the franchise, it’s Neal that has endeared himself to Vegas fans. The winger has 17 goals, which leads the team and fans would love to have him stay with the franchise. However, he will be 31 years old at the start of the season next year. This will be Neal’s last opportunity to cash in on a big contract, which he truly deserves. However, do you give a 31-year-old player a long-term contract? An six-year deal? Eight years? At what cost? Or do they just let him walk away next season and start all over again. Perron and Sbisa are probably easy enough to let walk away at the end of the season. While they both have played extremely well this year, the team could probably find replacements at their positions quickly enough. Don’t forget they have two young first-round picks who are dominating their junior league in Cody Glass and Nick Suzuki and another first-rounder in Erik Brannstrom in Sweden waiting to come over. Even Marchessault’s situation is easier to predict as he’ll just be 27 next year. A long-term deal might not look too bad at his age. No matter how many years they sign him for, after two years he’d be 33 years old in a league that caters to young players and have started separating themselves from older ones. Is that what you want on a young expansion team? So, what should Vegas do with Neal?